Kirsten is an Executive Coach, Consultant and Workshop Facilitator who works with leaders to expand their sphere of influence through a strong presence and powerful communication. She helps leaders develop their style and the courage to lead authentically. 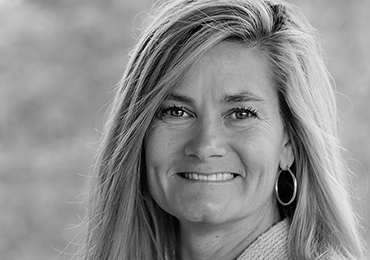 Kirsten provided HR leadership to fast-paced, accelerated growth companies in wireless, high-tech and biotech prior to making the shift to working at the Bill and Melinda Gates Foundation. In each organization, she helped build HR capability and capacity, designed and implemented effective people strategies, shaped culture and coached leaders and their teams to achieve higher performance. She is an optimist and works one on one to help leaders reframe and see the possibilities in the challenges they are facing day to day. She provides a balance of gentle nudging and straight talk for leaders to make the change needed to be more effective and make a positive impact. She believes there is a warrior in all of us and works with others to discover their true warrior way. Kirsten is a Hudson Institute and ICF Certified Coach and is certified in Strengthscope®, Strengths Deployment Inventory and DISC®. She is a 4th Degree Black Belt in Tae Kwon Do and Arnis who continues to teach and train today.